It is a rare sight to see any stars in the sky when living in a populated area with light pollution. So when we went to NZ for Christmas I took the opportunity to take some! 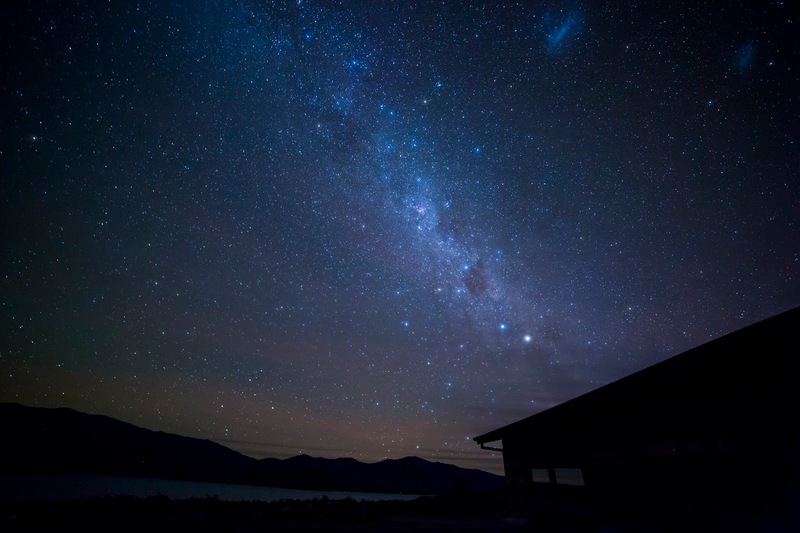 We spent a night in a gorgeous house on Lake Tekapo (Dark Sky Reserve). There were no houses for miles, it was pitch black, perfect conditions. I didn't have a remote trigger with me so for my star trails I had to keep running out to take the photo. I set my focus to infinity, shutter speed between 20 to 30 seconds and ISO set high depending on shutter speed. 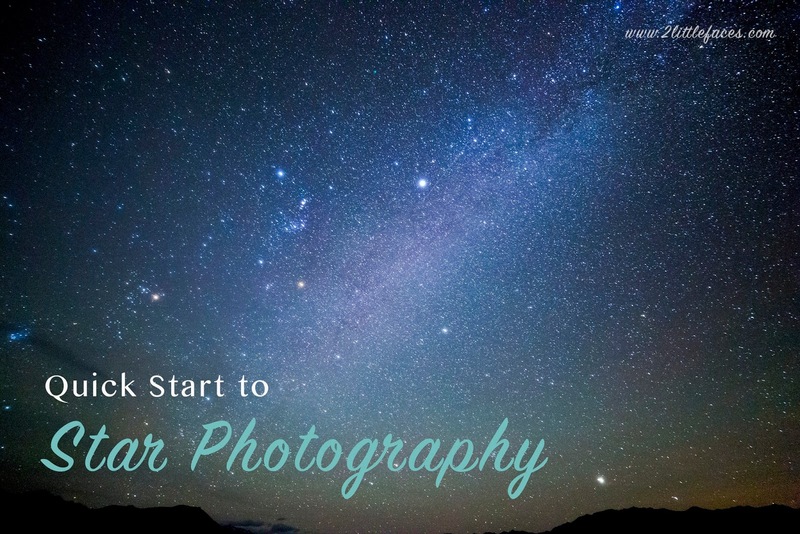 The longer you leave your lens open the longer the star trails will be. The higher the ISO the more noise you will get. A good starting point would be about a 25 second exposure, f/2.8, ISO 1600 and then go from here. For my Star trail attempt, I had to keep going out to take the photo every 30 seconds. It was cold and also a bit scary in complete darkness so I would take the photo and run inside till the camera had taken the shot and run back out again to take another shot. I did this about 20 times and using an image stacking/blending software this was all I got! 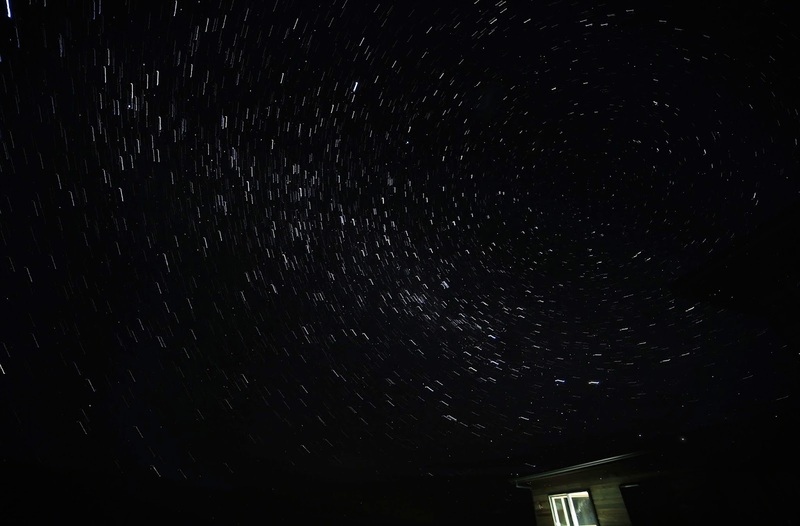 Best to get a remote trigger if you are going to do a star trail! It is nice to always try to have an object in the foreground to add to the composition. As you can see in this photo I have part of the house in the shot. It was actually a happy mistake, someone had turned on the light in one of my shots. I am glad they did! My first few shots were set at 30sec and low ISO so all I got were a few stars. Once I bumped up my ISO I was amazed at what I saw! There were so many stars, shooting stars and a few planets! If you ever get an opportunity to view the night sky do it! Even visiting the observatory was an amazing experience.